A proof of concept trailer for an upcoming feature length documentary about cryptozoology and the people involved in the field. Cryptozoologist is a feature-length documentary film about unknown animals and the people whose job it is to find them. Meet the men and women who devote their lives to research, write about, and attempt to find mysterious creatures like Champ the Lake Champlain Lake Monster, Dogmen, Tasmanian Tigers, hairy hominids and legends of the sea. The film takes an intimate look at a group of true believers who have staked their professional fortunes to the practice of Cryptozoology, or the study of unknown animals. Mysterious Universe "New Cryptozoology Documentary being developed"
Brad is a documentary filmmaker and commercial director based in Canada and the USA. He previously worked as a creative director for Digital Kitchen in Seattle and now makes documentaries for a living. Brad's first film, Love and Saucers was just chosen for competition in 15 different film festivals around the world. It was a jury special mention in this years Fantastic Fest and won the Best Feature award at the 2017 Lift Off Los Angeles Film Festival. Matt Ralston is a producer and editor living in Seattle WA. Matt has worked in the production industry for over 15 years as an editor and producer. 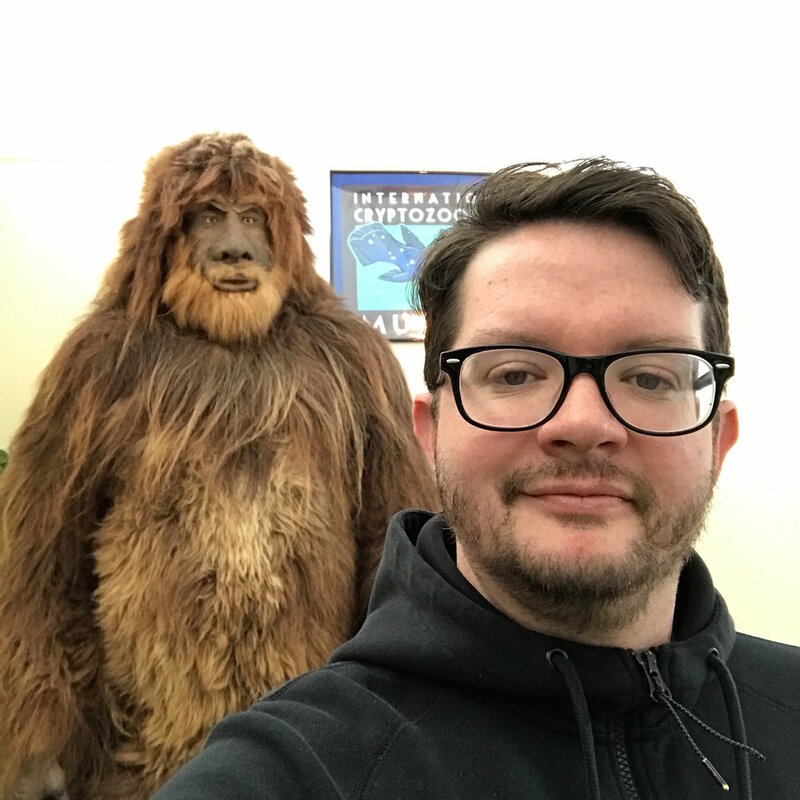 He has a lifelong fascination with cryptozoology and has been wanting to make this film since graduating film school, 15 years ago! Cryptozoologist is his 2nd feature length documentary. His first, Love and Saucers garnered critical success and is coming off it's 2017 festival run. It will be available worldwide on most VOD and streaming platforms. Brad and Matt make a short documentary called Swan Song of the Skunk Ape that was released in 2015. it features citizens of the Everglades region of Florida, all of whom have had encounters with the mysterious and rumored “skunk ape”.